You are here: Home / Think Mobile and Responsive Design Doesn’t Matter? Think Mobile and Responsive Design Doesn’t Matter? Here is an analytics screenshot from one of my clients. 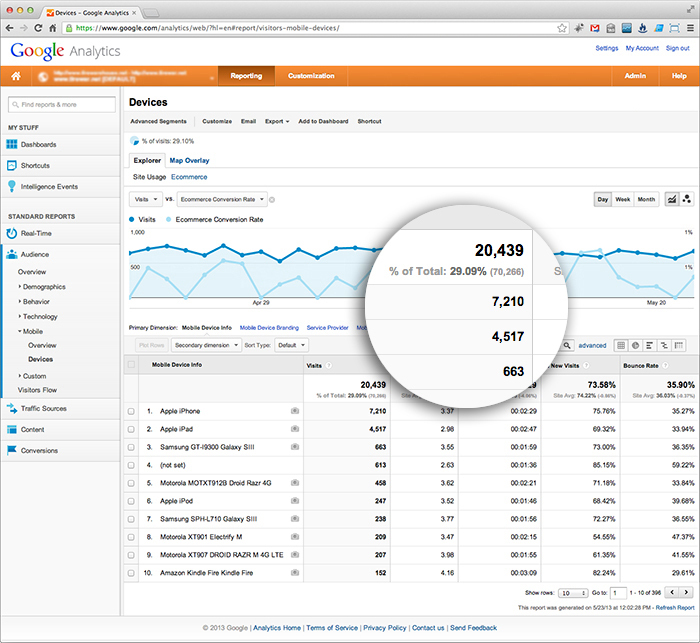 Nearly 30% of their visitors arrive there via a mobile device, accounting for over 20,000+ visits in just one month. Think mobile and responsive design doesn’t matter? Think again. http://blog.pixelpunk.com/wp-content/uploads/mobile1.jpg 268 267 pixelpunk http://blog.pixelpunk.com/wp-content/themes/pixelpunk/images/logo.png pixelpunk2014-02-25 20:22:072014-08-10 02:02:10Think Mobile and Responsive Design Doesn't Matter?